Well, if it has Karine Vanasse in it, I will eventually see it, that's 100% sure. As for not watching V, well you can also put TVA, RC and TQ in the lot ... the channels I "watch" are RDS and Discovery, and that's for 3 specific shows: Hockey, Dirty Jobs, Mythbusters. Also, I watch them all from my PC, so I skip all ads. So basically, chances of me being aware of a new movie from Quebec? Very slim. Everyone loves "Love Story!" One of the most romantic movies ever made also remains one of the most enduringly popular. This heartfelt 1970 tale of the love of a lifetime — the most successful Paramount movie up to that time — received seven Academy Award® nominations (including Best Picture) and won one for Francis Lai’s magnificent score. As filming was underway on "Love Story," the filmmakers knew they had something special — so special that Eric Segal was simultaneously shaping his best-selling novel from his own screenplay. Stars Ryan O’Neal and Ali McGraw each received Academy Award® nominations and became overnight movie sensations for their poignant portrayals of a young couple who cross social barriers, marry and ultimately face the greatest crisis of all. I will admit... I was a little hesitant choosing this one right now as it isn't my normal fair that I enjoy. But more then one person wanted me to review this movie.... so thought I would give it a go. I found I really have mixed feelings about this one. The story is a good one for the most part... even though they had to make things go a little quickly to fit everything in. But that is OK... I can handle that. The main problem I had with this one is that all the characters are just unlikable. I couldn't relate to any of them. I main guy in this one I found to be stubborn to the extreme. Really pig-headed. And the main girl I found to be awful snobbish for someone coming from such a poor background.... the way she acted... the way she talked... pretty much everything. The did improve on her... but to me it was no more then too little.... too late. And I really didn't like the supporting characters any more then the main characters. But despite all that it has a good story... and I did find myself being drawn in. Especially towards the end... which without going into too much detail hit a little too close to home for me. In this year... sitcom All In The Family debuts.... Apollo 14 lands on the Moon.... Evel Knievel sets a world record and jumps 19 cars.... Walt Disney World opens in Orlando, Florida. An aged millionaire passes on and leaves his four children his large fortune. According to his will, the four heirs must spend one week at his estate in order to split up the fortune. If any of the heirs leave or die before the week is out, the remaining children will receive the money and if all the heirs are gone, the servants will gain the inheritance. Once everyone has arrived and the estate and settled in, strange things begin to happen and the heirs begin to turn up dead. Who is killing them and can the remaining heirs find out before it's too late? I actually have 2 copies of this movie on DVD. One in a double feature DVD release along with the movie Embryo. The other copy is in a box set I bought a while ago called Horror Classics: 100 Movie Pack. I originally grabbed the double feature DVD simply because it was easier to find. But when I saw the quality of that disc I put it back and took a chance the big boxset would have better quality. And it did indeed. The movie itself left a bit to be desired. The story is averagely entertaining at best. The acting in most parts could use some serious help. Some scenes were entertaining enough for me to keep watching... but I am actually kind of surprised I made it through the entire movie. Over all... I can't recommend it. In this year... The Godfather is released in cinemas in the United States..... Nolan Bushnell and Ted Dabney co-found Atari..... The last U.S. ground troops are withdrawn from Vietnam..... The first female FBI agents are hired. 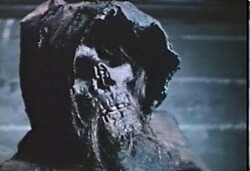 - Dr. Phibes Rides Again! I think you should watch Frenzy. That was the next-to-last film for famed director Alfred Hitchcock and it's terrific. I was thinking about it Roger... but afraid to take away from my ongoing Hitchcock review thread. I will have to check to see where it falls in that thread. If not too soon from now I won't mind watching it now and again for that thread. Duh... read Pete! You did already say it was the next to last of his films! This is the first time I ever seen this Hitchcock classic. And I must say... I loved every minute of it! The story kept me glued to my seat from start to finish. I found that the movie has a really good pace to it. While it does of course have slower scenes... it never slows down to the point that even the slightest bit of boredom sets in. I think the entire cast... main stars and supporting cast alike... did a great job. I did find this movie to be a more graphic movie then any other Hitchcock movie I have seen in the past. So it does show a change in the times that occurred by the early '70s. This movie not only made it into my top favorite Hitchcock movies... but top favorite movies period. In this year... CBS sells the New York Yankees for $10 million to a 12-person syndicate led by George Steinbrenner..... The first handheld cellular phone call is made by Martin Cooper..... Watergate scandal: Televised hearings begin in the United States Senate. 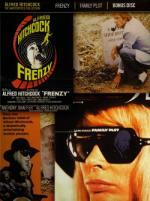 Awesome review on Frenzy, Pete! it followed several difficult productions for Hitchcock in America, and this really felt like him cutting loose and ramping up the fun of being really nasty! Consider also that it was filmed in the market where his father worked and this is getting back to his roots in more ways than one. An archeologist visits a remote island to bury his late father and, despite the warnings from the local people, opens the tomb of the vampire queen, buried over 700 years ago. This foolish act by the archeologist and his reporter friend places the entire island in danger, including the local school teacher that the two men are rivals for her affection. 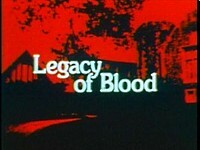 With the school teacher in danger of being a sacrifice to the vampire queen, the duo sets out to stop the vampires, rescue the teacher and destroy the vampire queen. Not even 15 minutes into this movie and I was already feeling bored. Not a good sign but I decided to stick with it since it was so early. I was a bit surprised to see a movie made in 1973 to be black and white. Not that I mind... just wasn't expecting it. On the other hand I was kinda expecting a bad movie... but this one really bored me. No matter how hard I tried I just couldn't get into it. Every time they had a decent scene... it lost it's momentum as fast as it came. Another stinker out of the Horror Classics: 100 Movie Pack. In this year... People magazine's first issue released. Mia Farrow is on the cover... Stephen King publishes Carrie, his first novel under his own name... U.S. President Richard Nixon announces his resignation. A yachtsman and his group are searching for some missing women when they come across a fog-enshrouded Spanish galleon drifting at sea. Boarding the ancient vessel to look for the missing women, the group stumbles upon a horrifying discovery. Aboard the ship are the undead legions of the Knights Templar, who are cursed to roam the Earth to plague the living and consume the flesh of their victims. This morning I really felt like a horror movie I never seen before. while looking over the list I the title of this one grabbed me... so I looked into it a little to see if I was in the mood for it. 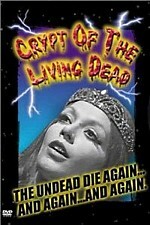 That is when I found out it is an alternate title for The Blind Dead 3. I know this series has a cult following with a lot of horror fans. While I was a little concerned about starting with the 3rd in the series... my curiosity got the best of me so I thought I would test the series out with this one. I wouldn't say I was hugely impressed... but I did enjoy it for what it is. It was definitely enough to keep my interest. It also kept my curiosity about the films before it... as it is normal for the earlier movies to be the better ones. But over all... I found this one to be a fairly average movie. Entertaining enough to waste an hour and a half with... but not something that you should expect too much from. This is another movie that is in the Horror Classics: 100 Movie Pack. The audio and video on this movie was better then I was expecting on this movie because of the fact that it is in one of those cheap boxsets. But there is one thing I didn't care about here... and I have seen this on most the movies I watched in this set already. Why does Mill Creek (company putting out these sets) feel the need to place their logo in the bottom right corner of the video? Sure it is only on there about 30 seconds each time off and on a couple times through the movies. While I can deal with it... it is still a little aggravating.